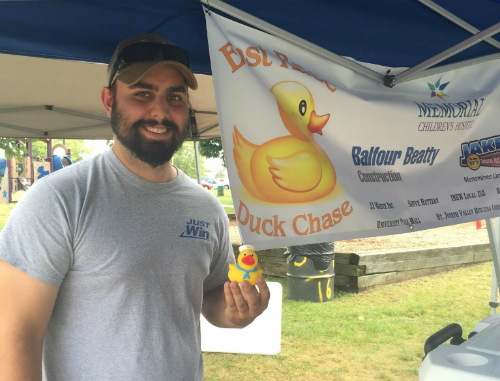 Memorial Hospital held the first East Duck Race on Saturday, August 13th, to raise funds for the new Children's Hospital. Project Manager Dave Siddall attended the event to watch D.A. Dodd's duck along with thousands of others travel down the East Bank Rapids to the finish line.